The first mass-market, 5G-enabled mobile devices will go on sale this year, with roughly 20 handset vendors to launch 5G-ready handsets in 2019 starting in Q2, according to Deloitte. Deloitte’s TMT Predictions 2019 report claims that approximately one million 5G-phones will be shipped this year, out of a projected 1.5 billion global smartphone sales. By the end of 2020 it expects 5G handsets to represent roughly 1% of all smartphone sales at 15-20 million units. However, sales are tipped to take off in 2021 with retailers expected to sell more than 100 million 5G devices. In the UK, Deloitte expects 5G smartphone shipments to total around 50,000 this year, rising to between two and three million in 2020. In terms of 5G network availability, the report estimates that 25 operators around the world will launch 5G services in at least part of their territory in 2019, with an initial focus on 5G access in cities. A further 26 operators are expected to launch 5G in 2020. 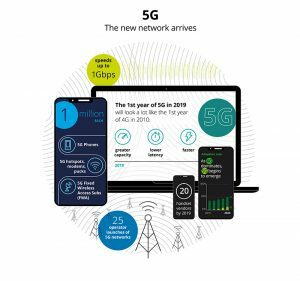 In the UK, all four major mobile operators plan to launch 5G services between 2019-20, though Deloitte cautions that it will be “many years however before 5G rollout is complete”. 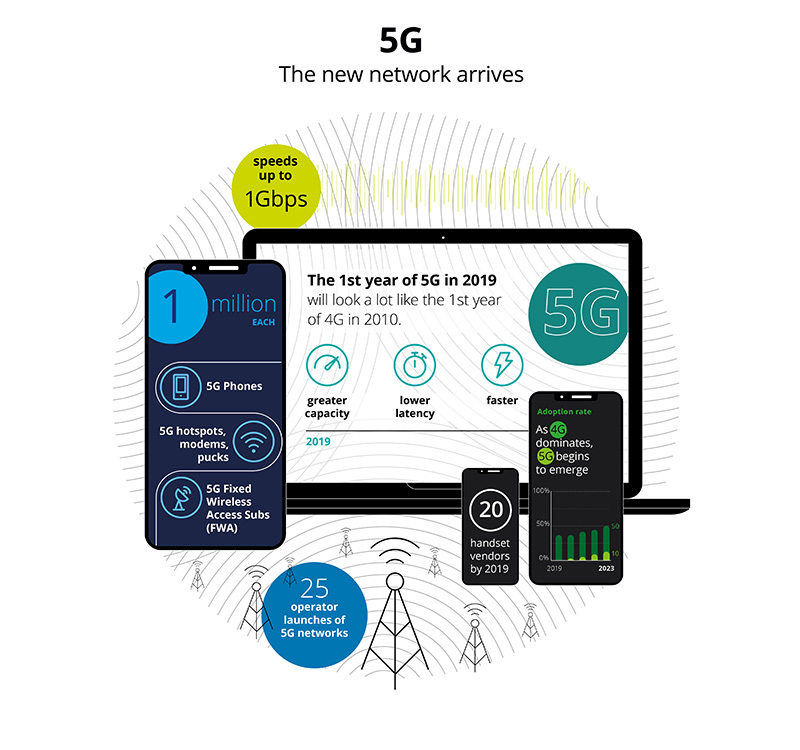 “The introduction of 5G handsets expected this year will look a lot like 2010, when 4G phones first entered the market,” said Dan Adams, head of telecommunications at Deloitte. “There will be a lot of noise in the first year from vendors vying to be first to market, and relatively little action from consumers. Deloitte’s other predictions include smart speakers becoming the fastest-growing connected device in 2019, with 164 million units to be sold globally, up from 98 million in 2018. It also claims that radio will remain nearly ubiquitous with over 85% of the adult population listening to radio at least weekly in the developed world. Global radio revenue is tipped to climb 1% in 2019 to reach £31.6 billion. For more Deloitte Technology, Media and Telecommunications Predictions 2019, click here.